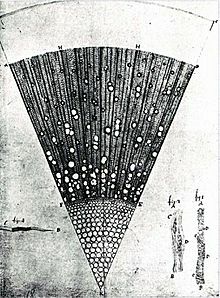 Microscopic Section through one year old ash tree (Fraxinus) wood, drawing made by Van Leeuwenhoek. 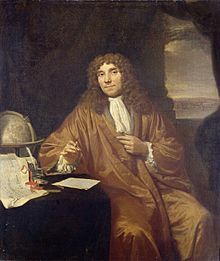 Antonie Philips van Leeuwenhoek (24 October 1632 – 30 August 1723; name pronounced 'Laywenhook') was a Dutch tradesman and scientist from Delft, Netherlands. He is known as "the father of microbiology". He is best known for his work to improve the microscope. Using his handcrafted microscopes, he was the first to see and describe single celled organisms, which he originally referred to as animalcules, and which we now refer to as microorganisms. He was also the first to record microscopic observations of muscle fibers, bacteria, spermatozoa and blood flow in small blood vessels. 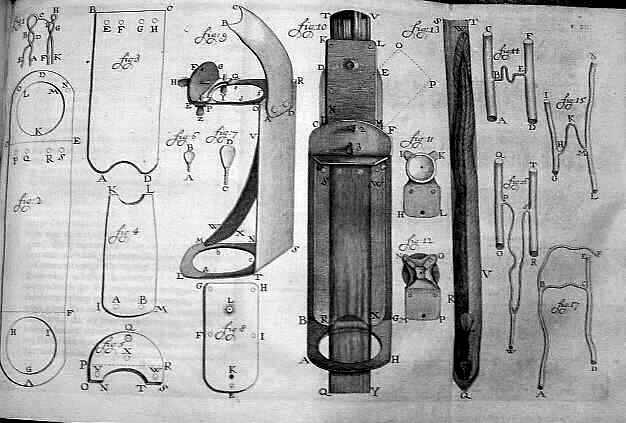 Van Leeuwenhoek never wrote books, just letters. In his youth he was apprenticed to a draper; a later Civil position allowed him to devote time to his hobby: grinding lenses and using them to study tiny objects. With his simple microscopes — skillfully ground, powerful single lenses capable of high image quality — he observed protozoa in rainwater and pond water and well water and bacteria in the human mouth and intestine. He also discovered blood corpuscles, capillaries, and the structure of muscles and nerves. In 1677, he first described the spermatozoa of insects, dogs, and humans. His research on lower animals argued against the doctrine of spontaneous generation, and his observations helped lay the foundations for the sciences of bacteriology and protozoology. A 1677 letter from Van Leeuwenhoek to Oldenburg, with the latter's English translation behind. The full correspondence remains in the Royal Society Library. Antonie van Leeuwenhoek Facts for Kids. Kiddle Encyclopedia.